Jurors: Lorenzo Codelli, Alexander Horwath, Lucien Logette, Mark McElhatten, Paolo Mereghetti, and Jonathan Rosenbaum. Chaired by Paolo Mereghetti. 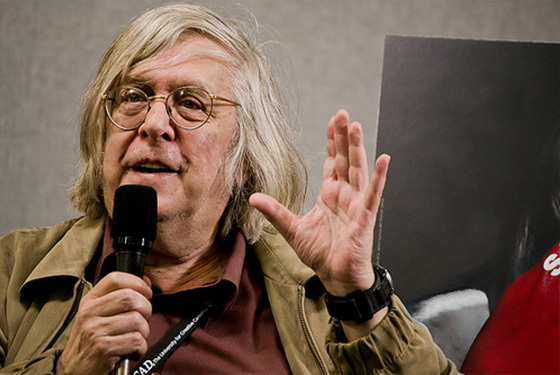 Alexander Horwath: Déja s’envolé la fleur maigre (Paul Meyer, 1960, Cinematek/Bruxelles, DVD) and Il Cinema di Pietro Marcello: Memoria dell’immagine (2007-2015, Cinema Libero/Cineteca di Bologna, DVD). Regarding the latter: with this cinematheque-style DVD, subtitled in English and French, one of the greatest contemporary filmmakers, whose work is still under-appreciated outside Italy, receives his rightful chance for global recognition. One of the first Czech sound films. Like many great films of that era, it reflects several influences: expressionism, social realism, Kammerspielfilm, the art of Soviet photography, all used remarkably, without imitation. It contains all the great themes of the end of the silent period: the opposition between the city and the countryside, the misdeeds of modern society, frustrated loves ending in drama, themes served by an astonishing visual beauty. From the Chicago Reader (September 23, 1988). — J.R.
1. A front-page story in the August 24 Variety begins, “Last week’s Republican National Convention garnered the worst network ratings of any convention in TV history.” An interesting piece of information, but not, as far as I know, one that was noted in daily newspapers, weekly newsmagazines, or on TV. Why does one have to go to Variety to discover this morsel of recent history? Perhaps it has something to do with Variety‘s status as a trade journal. Mainstream print and TV journalism may be part of the entertainment business, but they’re not generally about entertainment in the sense that a publication like Variety is. 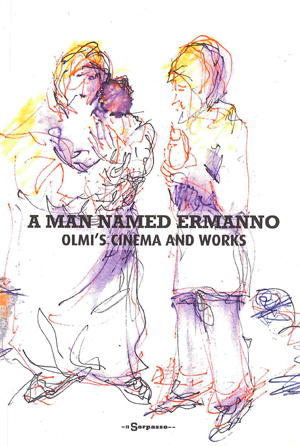 Written for A Man Called Ermanno: Olmi’s Cinema and Works, published by Edições Il Sorpasso (in Lisbon) in May 2012. A French translation of this essay has been published in Trafic #91, automne 2014. — J.R.
For me, the cinema is a state of mind and a process of analysis from a series of detailed observations. Posted on Sight and Sound‘s web site 18 July 2013, and then expanded (by about 50%) at the request of Trafic‘s Raymond Bellour later that month for its French translation in Trafic #88, published in early December. This has also appeared in German translation in the September 2013 issue of Cargo, and a Spanish translation appeared in mid-August 2014 on Roger Koza’s web site. I’ve slightly updated the version here in a few particulars and added some photos. 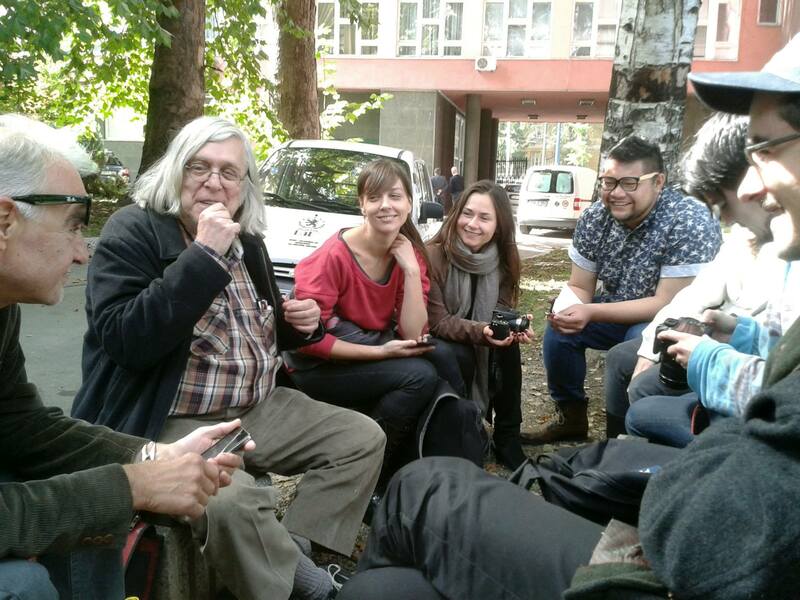 I returned to Film.Factory for my fourth two-week stint to date on October 24, 2015, this time to teach a history of independent cinema around the world. – J.R.
First of all, what is film.factory? This book review appeared in the August 27, 1980 issue of The Soho News. I was moved to repost this review by the generous recent reference to it made by Sam Jordison in the Guardian. Is it by mere chance, or through some form of subtly earned tragic irony, that this brilliantly funny, reactionary novel is being published during a reactionary period, apparently about a decade and a half after it was written? God knows what it might have been like to read this in the mid-’60s. I suspect it would have been less warmly received — one reason, perhaps, why it wasn’t published way back then. What I mean by Reactionary Humor is the boring literary schemes of Tom Sawyer, not the expedient escape tactics of Huck Finn. Broadly speaking, it’s what we learn to expect from the perennial antics of Blondie and Dagwood, Amos and Andy, Franny and Zooey, Laurel and Hardy (and Marie and Bruce, in Wallace Shawn’s recent play), not to mention W.C. Fields, Rainer Werner Fassbinder, Archie Bunker, and Woody Allen. Written for the Viennale’s catalogue accompanying its Jerry Lewis retrospective in October 2013, where it appears in German translation. — J.R.
1. Why Did — and Do — the Americans Love Jerry Lewis So Much? The usual question — and by now a completely tiresome one — is, “Why do the French love Jerry Lewis so much?” People have been asking this question — mainly rhetorically rather than with any genuine curiosity about the answer — for over half a century, yet if it was ever worth asking in the first place, this was only for roughly the first two decades of that period. As far as I can tell, this was a love that was first fully declared in detail (though it was far from being universally accepted even in France, then or later) in December 1957, when Robert Benayoun published an article in Positif entitled “Simple Simon ou l’anti-James Dean”, although earlier appreciations, Godard’s among them, had already appeared by then. Ahmad Jamal Complete Live at the Spotlite Club 1958 (2-CD set, Gambit Records 69265). You may have to be an Ahmad Jamal completist like myself to take notice of this 2007 expanded edition, which adds three 1958 Chicago studio cuts, totaling about eight minutes, to the 25 live ones that have already been available. The latter tracks appeared on two well-known Jamal LPs, Ahmad Jamal and the two-disc Portfolio of Ahmad Jamal, both recorded in September 1958 at Washington, D.C.’s Spotline Club in September 5 and 6, 1958. Commissioned by BFI Video for an April 2015 release. — J.R.
Charlie Chaplin, the late Gilbert Adair liked to assert, doesn’t simply belong to film history; he belongs to history. And the same might be said for Roberto Rossellini’s first major feature, Roma città aperta. 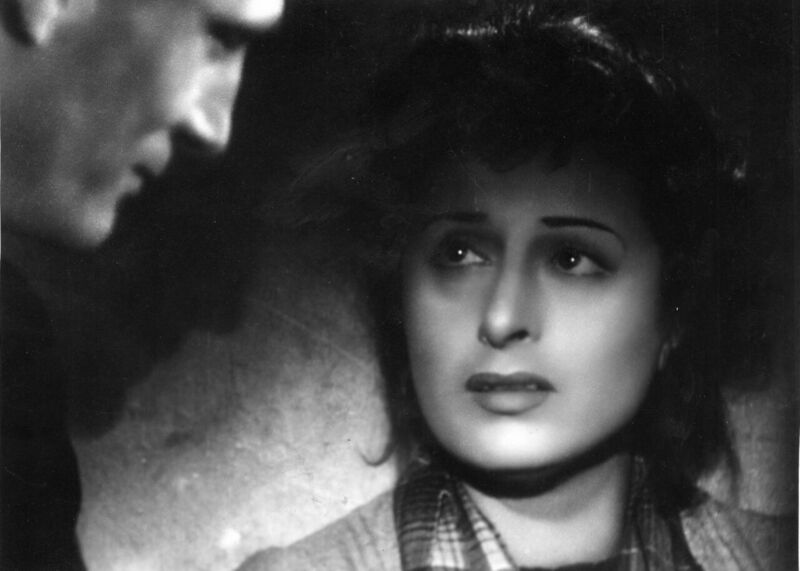 Even though it’s routinely regarded as a landmark in film history — the film that decisively put Italian Neorealism on the global map — one could argue that its lasting importance owes far more to the major role it played in humanizing the Italian population for the rest of the world after it emerged from over two decades of Fascist rule under Benito Mussolini. This originally appeared in Film Comment (September-October 1974). I was shocked in December 2011 to learn of the death of Gilbert Adair, a close friend during the mid-70s (when both of us were living in Paris, and then for some time later, after I moved to London ahead of Gilbert). Although I can’t swear to this, it’s possible that this collaborative interview may be the first thing that Gilbert ever published; at least it’s the earliest piece of his that I know about. With Michael Graham — also, alas, no longer alive — Gilbert and I had subsequently collaborated on a lengthy production piece for Sight and Sound about Rivette’s Duelle and Noroît, recently reprinted in Arrow’s DVD box set devoted to Rivette, available here and here. — J.R.
Not so long ago, A.O. Scott and Manohla Dargis decided to name their 25 favorite films of this millennium so far. More recently, J. Hoberman decided to play the same game. The order below is alphabetical. An email interview with Federico Casal for the online Uruguayan film magazine Revista Film. Casal has kindly provided me with this English version. — J.R. This is the first review I ever did for Monthly Film Bulletin, around the same time that I started working for the magazine (at the British Film Institute, then on 81 Dean Street) as assistant editor, in late summer 1974; this ran in their September issue. –J.R. The first and last parts of what follows are taken (and in a few cases adapted) from my book Discovering Orson Welles. — J.R. In spite of my five years of living in Paris, my grasp of French has always been mediocre — a weakness that over the years I’ve come to regard as a sort of disability, because I’ve made many efforts to overcome it. That François Truffaut had a similar (and similarly embarrassing) problem with his English set the stage for a rather awkward and uncomfortable afternoon in London between the two of us — with his assistant Suzanne Schiffmann often serving as mutual interpreter – after I’d signed with Harper & Row to carry out a translation of Bazin’s book on Welles, as well as a new Foreword to that book that Truffaut was writing. Truffaut undoubtedly came away from that afternoon with some understandable skepticism about why I’d been hired to do this job, while I emerged, somewhat defensively, with the impression that he was closer to being a nervous and irritable businessman than the sort of critic and director that I had formerly revered. Written for the 40th anniversary issue of the French quarterly magazine Trafic (Winter 2011). I subsequently introduced a screening of this film at the Centre Georges Pompidou on January 12, 2012 as part of a film series built around this issue, and my introduction (in French and English) can be accessed on video here. For my original review of this film, go here. — J.R.
Am I weeping for the death of David’s mother, for the death of humans, for the death of photography, or for the death of movies? From the January 25, 2007 issue of the Chicago Reader. — J.R.